Your driveway is in need of replacement. Should you choose a concrete surface or an asphalt one? If you've always had one style, you may never have considered the other option. However, before you install your next driveway, it's a good idea to evaluate the choices to make sure that you choose the best surface for your property – and for your wallet. The following concrete vs asphalt driveway guide will help you learn more about these two materials and evaluate their differences. By the end, you'll have a clearer understanding of which type of surface is right for your property. 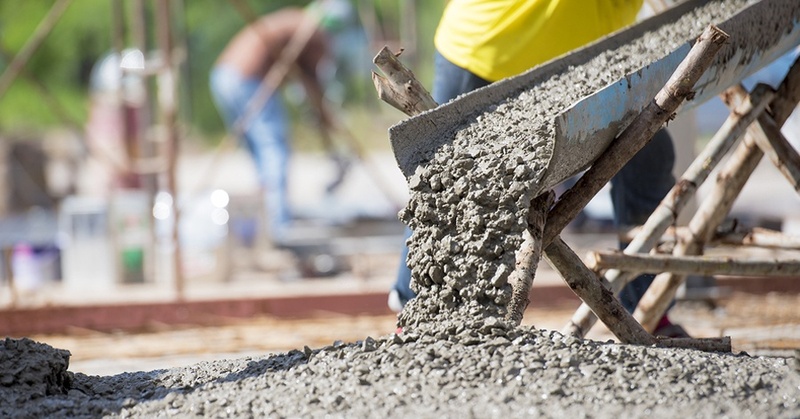 Portland cement is a powdered mixture whose primary components are clay and limestone. When combined with water, it forms a paste. The pieces that are mixed with this paste are known as aggregate. Concrete usually involves both small and large aggregate, also known as fine and coarse aggregate. Sand is an example of a fine aggregate. Larger aggregates include gravel, crushed shells and crushed stone. The aggregate makes up as much as 75 percent of the content of concrete. Like concrete, sand and stone are commonly used as fine and coarse aggregates for asphalt. Compared to concrete, however, a higher percentage of asphalt's content is comprised of aggregate. The sand, stone or other aggregate materials make up as much as 95 percent of asphalt. Now that you understand the two main materials that are used for driveways, it's time to decide which one to install for your home or business. When it's time to replace your surface, the following pros and cons list can help you make your concrete vs asphalt driveway decision. Property owners often consider price to be one of the most important factors when considering an improvement project, and in a concrete-vs-asphalt cost comparison, asphalt easily comes out ahead. Concrete driveways often cost almost twice as much as asphalt surfaces. Asphalt driveways require regular sealcoating. This maintains the color of the driveway, keeps major cracks at bay, and protects the asphalt from environmental hazards. It is usually done about every other year. Cold weather can negatively affect both asphalt and concrete. However, asphalt is more flexible, so it may not crack as readily as concrete in response to cycles of freezing and thawing. Asphalt, however, can become soft in very warm weather; that's not an issue with concrete. Both asphalt and concrete can get stains. However, chemicals usually damage concrete more than asphalt. If gas or oil spills onto a concrete driveway, the stains can be quite noticeable. While they may not appear as noticeable on blacktop, chemical spills like oil and gas will quickly deteriorate a driveway. With proper care, concrete driveways may last longer than asphalt ones. The typical lifespan of an asphalt driveway is 10 to 15 years. A concrete surface may hold up for 20 years. These time frames are dependent on regular maintenance, of course. If you plan on staying in the same property for the next few decades, this figure will probably mean more to you than it will if you intend to sell in just a few years. In general, driveway appearance is a matter of personal preference. Concrete driveways are light in color, and asphalt driveways are dark. In that regard, one is not necessarily better than the other. Over time, the appearance of both materials can change. Concrete surfaces may lighten or darken, depending on the environment in which they are installed and the particular makeup of the concrete mix. Exposure to the elements can cause an asphalt surface to oxidize and fade. Remedying discolored concrete can be a challenging process. Sometimes, dark spots can be faded using a weak acid solution. On the other hand, sealcoating an asphalt driveway can restore its original black color. Both types of material are subject to cracking. Generally speaking, repairs made to asphalt are less obvious than repairs made to concrete. Sealcoating or resurfacing an asphalt driveway can help repaired spots blend in with the surrounding surface even more. That type of restoration is not typically an option for concrete driveways. Where do you land on the concrete vs asphalt driveway issue? After reading this guide, you may be leaning toward installing an asphalt driveway for your home or business because this material is affordable, attractive and easy to maintain. Contact us to learn more about how you can enhance your property with an asphalt driveway from Palermo Paving.